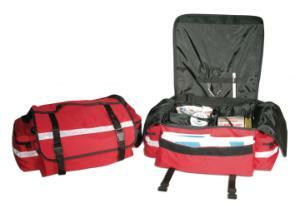 Perfect as a personal carry trauma bag. 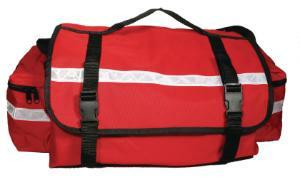 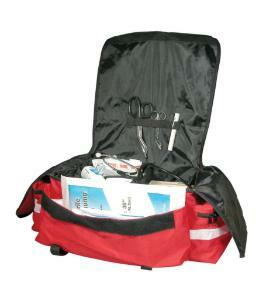 Large 3 section main compartment and 3 roomy outside pockets. Elastic loops for instruments. Carry handles and adjustable shoulder strap.